Many organisations are now opting for bring-your-own-device (BYOD) policies, due to the many benefits it delivers, including reduced costs and increased productivity, flexibility and employee satisfaction. But this type of policy can create a lot of headaches for the IT department in terms of having to contend with different devices, models and operating systems – not least when it comes to mobile printing. You might think more time spent on mobile devices, such as tablets and smartphones, means less time printing, but even in this digital age, paper remains just as relevant than ever, and workers are increasingly demanding the ability to print documents from a mobile device just as easily as they can read them. Yet it can often be difficult for organisations to develop a robust mobile printing solution that can be used on a wide variety of devices, while also being highly secure. But once you consider the value that mobile printing delivers to businesses, it becomes clear that this is one project that can no longer be put on the backburner. Here’s why it’s worth implementing a mobile printing solution that complements your BYOD policy. When a mobile printing solution is interwoven into the BYOD workflow, users are able to seamlessly view documents, and print them as needed, all without the interruption of having to send that document to a desktop, and then physically go to the desktop to print it. This can be especially beneficial for workers in industries that are particularly paper heavy, such as real estate, healthcare, law and education. One government school in Victoria, for example, reported increased efficiency and reduced waste after implementing mobile printing as part of their print document management system. As printing environments become more complex, so too does integrating BYOD devices into that environment – and this often means IT investing a lot of time and resources into providing this capability. A robust mobile printing solution can easily handle a wide variety of devices and operating systems, significantly easing the strain on the IT department. With many BYOD devices connected to the print environment, it can be difficult to keep track of toner and paper usage, which could send your costs skyrocketing if you’re not careful. A comprehensive mobile printing solution can restrict printing and includes features such as quotas and reporting, so you can monitor usage to keep costs down and keep your organisation on track to reach its sustainability goals. The biggest challenge of implementing mobile printing within a BYOD environment is, without a doubt, security. Employees often overestimate how secure their mobile devices are, and engage in risky practices without even realising it. Combine this with a complex print environment, and the fact that printers themselves are often unsecured, and it’s a recipe for disaster. Don’t allow confidential information to fall into the wrong hands. Here are 3 ways to mitigate the risks of integrating mobile printing into your BYOD-friendly workplace. A comprehensive BYOD policy that addresses mobile devices, data retention and security protocols is the first line of defence when it comes to protecting your data, giving employees clear expectations on how they should use their devices and distribute information. This should also include policies around keeping software updated, use of public WiFi, backing up data, and encryption. Ensure employees are given regular training and reminders in terms of how to use their devices safely, and how to print securely. Technology is crucial when it comes to protecting your organisation’s data, so be sure to leverage it at all levels. This may include measures like ensuring devices are secured with features like password lock, providing Network Access Control to securely access corporate information, and enforcing printing permissions. Mobile printing solutions (Kyocera Net Manager) can also come with a slew of security features, such as user authentication via a pin, access card or fingerprint reader, or secure print release, whereby print jobs are stored in encrypted format on a server and only released to a printer once a user authenticates themselves. This prevents potentially sensitive information from simply being picked up at a printer by a malicious attacker. Kyocera Net Manager also restricts print jobs to devices that run the authenticated Kyocera Mobile Print application. Any other mobile access to a device or the secured system is blocked. 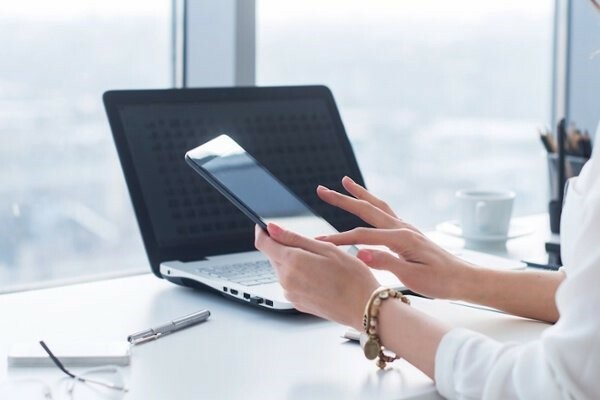 A BYOD policy works best when it is supported with mobile printing capabilities, but careful thought has to be given to ensure you implement a solution that is both easy to use and highly secure. When done well, however, you will be rewarded with increased productivity, efficiency, and flexibility. And your employees will thank you! A mobile printing solution is just one piece of the complex print environment puzzle. If you’re having trouble fitting the pieces together, a managed print service (MPS) can help. Learn more about how KYOCERA’s tailored MPS solution can benefit your business today. To learn more about a customised MPS solution, and how it can help your business today – and tomorrow – download our Managed Print Services Solution Fact Sheet today.